The ULC’s Uniform Regulation of Virtual Currency Businesses Act has come under recent fire by advocates who maintain that the regulation will only stifle innovation and create uncertainty due to legal inconsistencies. On July 14, 2017, Llew Claasen, executive director of the Bitcoin Foundation, asked the Uniform Law Commission (ULC), to withdraw its proposed Uniform Regulation of Virtual Currency Businesses Act. According to Claasen, the proposed model statute would discourage inclusive financial innovation for both blockchain technology and virtual currencies. Claasen argued that the proposed regulation should be abandoned because of the lack of coordination between states on how to regulate virtual currencies, as well as its relation to New York’s dubious BitLicense. Although the idea of uniform regulation seems sensible to the ULC, it’s perceived as obtuse by innovators. While states like Illinois, Connecticut, and New Hampshire have already taken independent steps to regulate virtual currency activities under money transmission laws, New York’s Department of Financial Services established a virtual currency framework in 2015 that has been scrutinized for its oppressive requirements. 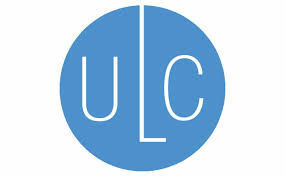 According to New York entrepreneur and plaintiff in Chino vs. NY Dept Financial Services, the ULC’s proposed statue only mimics New York’s rigorous and overbearing BitLicense requirements. To date, only a handful of BitLicenses have been granted by the state. "This proposed model statute, which is inspired by the New York BitLicense, will not only make it impossible for a small Bitcoin business to survive, but also will discourage the public to use Bitcoin. One does not have to look very far to understand why Bitcoin's adoption is so low and so poor. This kind of arbitrary and negative intervention must stop," said Theo Chino. Despite the backlash received by advocates for virtual currency use, others argue that the formulation of a universal regulatory framework could be the facilitator for innovation and growth in a number of markets. However, US lawmakers should take heed to what innovators in the cryptocurrency space suggest. At the end of the day, ambitious endeavors like the Uniform Regulation of Virtual Currency Businesses Act can only be profitable for American consumers and entrepreneurs if both US officials and innovators can get on the same page.